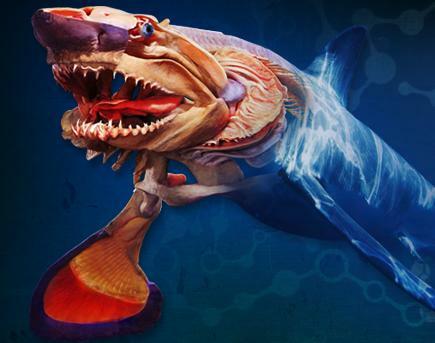 A GROUNDBREAKING new exhibition allows visitors to explore the secrets of life beneath the ocean’s waves by viewing incredible cross-sections of the animals including whales, penguins and Great White sharks, and even getting an up-close glimpse of their complex organs. SEA CREATURES opens at the Royal Horticultural Halls, Lawrence Hall in London between July 20 and August 30, before touring the UK, stopping in Edinburgh, Harrogate, and Belfast, and will see fifty ethically sourced, real-life specimens of creatures including a Baleen Whale, Whale Shark, Great White Shark, Dolphin, Seal, Octopus, Penguin and Sting Ray on display, allowing visitors to glimpse inside the majestic beasts, learning about the complex life systems within and why we need to protect precious ocean life. The painstakingly preserved displays use the same plastination process developed by Dr. Gunther von Hagens and made famous by artist Damien Hirst, replacing fluids and soluble fats with resins and allowing us to view incredibly accurate ‘cross-sections’ of the creatures. Alongside the many full-body exhibits will be a host of smaller displays, including the lung and eyeball of a Mink Whale, a whale’s kidney, the egg of a King Penguin, a Sea Lion’s heart and shark’s teeth. In total, over 200 exhibits will be on show. The educational exhibition will also feature digital interactive experiences, allowing children to immerse themselves in an underwater world. Sea Creatures visitors will be able to explore the exhibition using a special augmented reality app, which provides fascinating facts, figures and videos when they point their smart phones at the exhibits. There will also be giant, interactive mirrors that transport visitors beneath the ocean and take photos of their aquatic adventures, which can then be uploaded to social media. For younger guests, a ball pit game teaches them about the perils of plastic in our oceans. A digital screen around the pit shows colourful sharks and fish. But when a plastic bottle pops up on the screen, little ones are encouraged to throw the balls at it to save our marine life.